For anyone who has dreamed of owning their own business, we are beginning an exciting new series on our blog to help you achieve your dream! 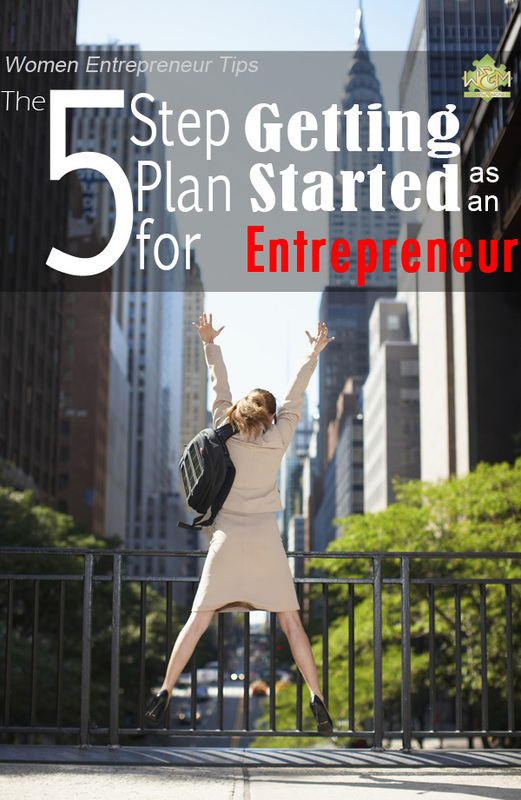 Read our “Women Entrepreneur Tips” articles starting with The 5 Step Plan for Getting Started as an Entrepreneur, and more to come. You probably have a long list of “pros” to becoming an entrepreneur, but don’t forget to be realistic about the “cons” side of the chart. Establishing and growing your own business requires hard work and long hours, it will consume your life and definitely affect your personal life, family and friends. Are you in a position financially and emotionally to take risks? Are you prepared for the pressure and responsibility of being your own boss? Do not analyze which business provides the best profits or lifestyle, first analyze what you are truly passionate about. Starting a business solely for the money will not be enough to get you through those tough times when profit is slow (especially the beginning), and you will likely end up being disappointed. Doing something that you truly enjoy, or something that is important to you, is the fuel to the fire, which feeds the drive. It is your reward when money isn’t there, and enables you to push on to realize financial success. Get expert help in creating your business plan. Look to make connections with others in your field. You have passion for your business’s purpose, but you are probably not a business expert, so focus your efforts and creativity on the product/service and get help with the business logistics. Believe in yourself and your ability to succeed (your biggest obstacle to success is YOU). Know that there is enough business for you too – find your niche, work hard, work smart and you will grab your fair market share. Behave as though you are already established and successful – do the work with passion and confidence, be open to change, creativity and growth. Give and you shall receive – pay it forward, offer your advice and assistance, provide value to others and you will be rewarded with the same. This entry was posted in Blog, Business Finance. Bookmark the permalink. Both comments and trackbacks are currently closed.